Introduction of myself and my book. My name is Leslie Drennan, I am from the Oklahoma City area. I am the mother of three beautiful daughters and live a love story Hollywood would kill for! I have always loved to write and though I have a background in acting and singing I found my true passion in creating the stories rather than portraying them on stage. "Enigma" begins when Matalyn Holland comes home to sirens and crime scene tape completely unprepared for the tragedy that awaits her. Her parents have been victims of a murder-suicide. Just another girl enjoying school and her friends, Mattie never could have been prepared for the strange things starting to happen. With no records of the past to be found and surprises around every corner, Mattie discovers she is the offspring of two fallen angels from good and evil, making her an enigma. The most desired, one-of-a-kind treasure of the dark side, Mattie finds protection from Avan, a boy she'd merely adored from a distance at school. However, soon Mattie will come to realize that this flawless individual whose eyes she seems to get lost in was created specifically for her. Evil is always after her in hopes of creating a new league of dark angels to conquer good forever, but being born into a human body, she must find the strength to overcome it all in order to evade capture, being forced to bear the offspring of the dark side and earn her wings resulting in an Angel's Promise that would determine the balance in the war of good vs. evil. At the time I wrote “Enigma”, I had recently found myself unemployed when the company I worked for went out of business leaving with a great deal of time on my hands. I’ve always been an avid reader but after reading everything I could get my hands on I started coming up with a story I wished already existed in my mind. After running the idea I had by a few of my friends that were also bookworms and hearing them say it was amazing I decided to give it a spin and put it on paper. As the story began to unravel in my mind the characters and scenes exploded and I wound up with an entire series as opposed to a book! I guess in the end when one door closes sometimes you end up discovering what you were meant to be doing all along! The funny thing about this question Justin, is that I always begin with a writing style and a well thought out plan that’s very organized and meticulous. However, every time I start writing it all changes drastically. For whatever reason, once I begin writing it is as if the characters and the story take over and I generally end up with a book that couldn’t be farther away from what I’d originally intended as my ideas start flowing. When I wrote the book, and began considering all of the things that made Mattie (the lead character) who she was and the circumstances around her she was truly an example of an unexplained mystery or enigma. As you read the story it is clear that everything about her entire life is a mystery that she has to find the answers to. There are actually a few different messages in the novel that I really want readers to grasp. The first message is that you need to be happy with who you are and be true to yourself without always striving to be who or what others want in order to make you feel important. In the end being who you know you are meant to be is most important regardless of what anyone else thinks. Always be true to you! The second thing I want readers primarily females to grasp is that you don’t need to do anything that will compromise who you are in order to achieve popularity. The last thing is that I want each reader to know that being unique in your own way is beautiful and desirable. Being unique is what defines each of us and there is a great purpose for each and every person. The book itself is completely fictional however, I have written it in a way that places the characters in very realistic situations throughout most of it. I wanted readers to be able to identify with the situations and emotions throughout the story. Even though there are some situations that are beyond imagination there are also plenty that you as a reader can connect with on a mental and emotional level. In many ways, I wrote the story as an analogy of my own life events. 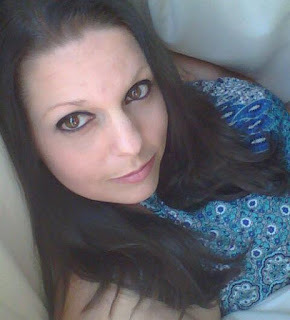 Though I am by no means a hybrid angel of any kind and do not live these fictional events, the feelings the characters felt at the time they were going through them were much the same as how I may have been feeling in my own life at the time I wrote certain scenes or wrote about specific events. It definitely was very personal and heartfelt for me even though I wrote it as a fantasy/fiction novel. The first book that I can ever recall having a major influence on my life was one I read in the fifth grade called “A Taste of Blackberries”. This book was instrumental in my life in many ways. In reading class with my then teacher Mrs. Phyllis Gilbert, who I am now honored to call a close friend and role model, we would keep a reading journal of what we read. One day she read mine aloud to the class telling everyone how impressed she was with my entry. It was right then I knew I was destined to be an author. I really like Bob Larson, he writes so that you really feel you are going through everything right along with the characters in “Dead Air”, “Abaddon”, and “The Senator’s Agenda”. I hope that my audience feels that way about my writing. Another person I would consider a mentor of such would be James Patterson. Not only do I enjoy his work but, you can truly see he has a passion for what he does as an author. Writing books is tough and making a living doing it is even harder. He always has something in production and you can tell he has a real enjoyment for what he does. He also chooses to be a role model in trying to get people reading more, especially kids. I think he sets the bar for what all of us as authors need to strive to be more like. Currently I am not reading any materials due to working on my own series. I tend to stray away from reading while working on my original materials in order to keep my own ideas flowing. I never want to derive anything from something else I’ve recently read so I just keep my mind clear and focused on the materials I am working on for the time being. I usually take a break between writing books though and you can bet I will have some kind of fiction in my hand! Yes, I have a few friends who are authors that have recently written books! Lindsay Avalon has recently come out with “Breaking the Nexus” which I can’t wait to read as soon as I take my next little writing break and there are several others such as Tim Miller, Katie Jennings with her “Dryad Quartet” series and a few others! 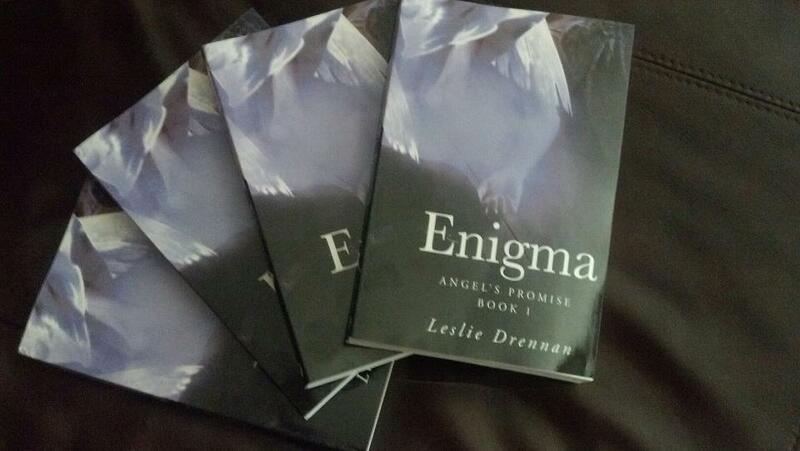 Currently I am working on the next two novels after “Enigma” Book 1 in line for my “Angel’s Promise” series. I am putting the finishing touches on “Exile” Book 2 and have begun writing “Eblis” Book 3. Outside of my family members and countless friends who have offered so much support that I cannot even begin to put into words, my amazing boyfriend has been here to support me every step of the way in every way possible! I couldn’t ask for a better support system with all of them. I do see writing as a career. I have dreamed of writing since the fifth grade and to be honest, I really can’t imagine being meant to do anything else. I actually do not and cannot think of a single thing that I would change. I am very pleased with the way it came out and can’t wait for the rest of the series to become available as well. As previously stated, in the fifth grade my reading teacher, Mrs. Phyllis Gilbert was such a role model! She always made us see how important both writing and reading was. She was very good at peaking our interests with different genres of reading materials and giving us plenty of positive reinforcement when it came to our writing. I greatly credit her for me turning into the writer that I am today. Had it not been for her influence I may not have ever considered being an author as anything more than a dream. She gave me the confidence and skill I needed to make it a goal which eventually became a reality. I think the thing I find really challenging from time to time is how the story seems to write itself from time to time ending up in a different but better place than where I’d originally intended for it to go. In many ways it is absolutely wonderful but at the same time it causes me to have to change things up for the books that come next. I do have book signings that sometimes require a few hours of travel. However, I love meeting those who are fans of “Enigma” so it is worth every mile! Who designed the covers? 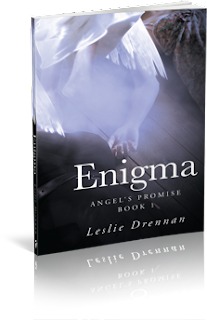 The graphic design team with my publishing company designed the original cover for “Enigma” based upon the ideas I gave them. I had imagined several things I wanted to incorporate so with the collaboration of my ideas and their knowledge we came up with an original design. The hardest part of writing my book was accepting that all these characters and personalities really came from and dwelled within myself. Sometimes it’s hard to wrap your mind around the concept that the villain you are writing about actually comes from something within yourself. As you write, different parts of your own personality make up the characters you create. Sometimes it’s difficult when you realize that parts of you could be as vulnerable, deceptive, evil, lascivious, and longing as some of your characters turn out to be. I think if I learned anything from writing my book, it would be learning who I really am. In my book, Mattie has to learn who and what she really is. In many ways throughout writing “Enigma” I believe I was on the same journey in my own life. I really feel like while writing this I took my own adventure through life and found out who it really is that I am. I found out what I really stand for, believe, and strive to attain. In the end I really believe I found my true self. Never quit. Never believe you aren’t good enough, that you don’t have the potential, or that it just won’t happen for you. Whether it be writing or something else, if you can dream it, then you can make it a reality if you believe. I really want my readers to know beyond a shadow of a doubt that I appreciate all of their support. If it weren’t for the readers, we writers would be nothing! Thank you to all of them who have given me the positive support to make “Enigma” happen! It amazes me every time I see download reports that people support me so much! I really hope that everyone enjoys every word and may their lives be full of adventure! I faced a few challenges, the first is that I had to do some research on California law considering I am from Oklahoma. Another thing that was very important to me was that I had a desire to write a series that anyone from any age group preteen and up could read and not find it inappropriate. Though there are some scenarios where peer pressure and things play a large role, this is not a book that parents or schools have to be weary of kids reading. I wanted to write a successful book series that I didn’t have to be weary of my own kids or my family members picking up or me having to say….”oh yeah, sorry about that one scene there.” Or “oh, you might want to skip pages …. To ….. “ I wanted it to be something captivating for all audiences that anyone could read.